Sellier & Bellot with the old school throwback ammunition in .45 long Colt with the original power profile and the quality components. 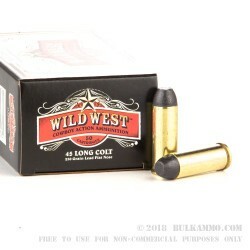 This is a perfect 45 LC ammunition for those who are shooting the .45 LC in competitions for Cowboy Action shooting. 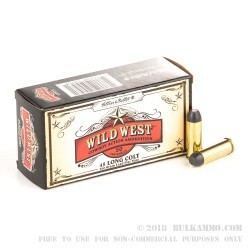 The lead flat nosed ammunition is a period specific profile and the brass casing with light powder charge offers great reliability without heavy recoil really. The projectile is an all lead 250 grain bullet with a rounded edge shape with the flat nose. 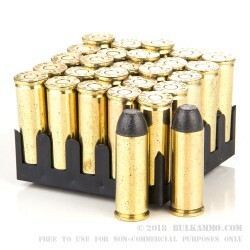 The relatively mild ballistics means you can shoot comfortably and place well in the competition while giving enough power to make it fun still. You can expect velocity of 709 feet per second and muzzle energy of 279 ft. lbs. This is potent enough to make it worthwhile, but keeps this ammunition squarely in a competition shooting role as the performance wont be a huge benefit in more demanding settings. 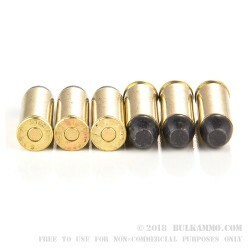 The Boxer primed brass is reloadable and this is a great price point for avid Cowboy Action shooters to pick up some great factory loads for their shooting and grab some cheap, super high-quality brass for their own loads of CAS rounds in the future.